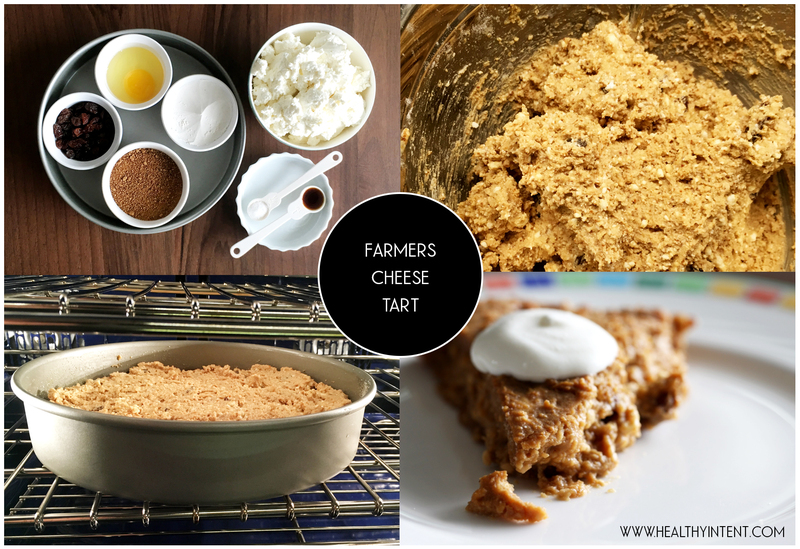 This tart is a healthy GF variation of the dish I enjoyed as a child. It contains farmers cheese, which is a great probiotic and a source of protein. Overall, this tart is wonderful for breakfast. 2. Mix together well farmers cheese, egg, flour, sugar, salt and egg. Add raising. 4. Spread the mixture evenly in the pan, bake 45 minutes or until golden. 5. Serve hot or cold with sour cream.